Author James C. Gardner, MD, has been treating patients for over thirty years, helping them manage a wide variety of anxiety and mood disorders, and he has seen how thoroughly emotional imbalances can affect our lives. 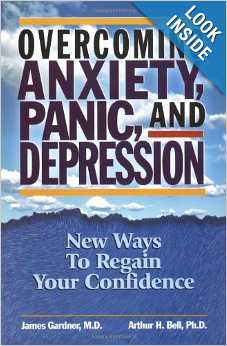 This overview seeks to provide individuals a key to understanding their own anxiety. Taking it a step further, he provides tools empowering readers to reduce that anxiety, which can lead to numerous physical and mental benefits. The Comprehensive Anxiety Screening Test is a wide-ranging diagnostic tool that will help anyone touched by debilitating anxiety or depression find a good starting point toward relief. Dr. Gardner then explains various solutions, including diet, hormone optimization, cognitive behavioral therapy, as well as traditional, complementary, and alternative medicine options. Unmatched in breadth, The Anxiety Toolbox Program puts the power for healing in your hands with all the information you need to take action and create a plan that suits your situation. With this leg up, the road to a healthy future is well within your grasp! 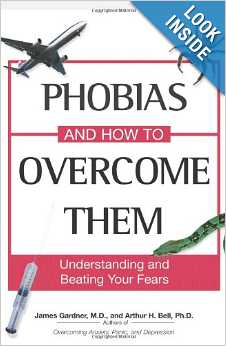 Our second book, “Phobias and How to Overcome Them; Understanding and Beating Your Fears,” was published in January of 2005. The writing of this book was another opportunity for me to expand my understanding of emotional dysfunction and the larger human condition.